New research from Crimson Hexagon on which airlines offer the best customer service through Twitter showed that out of all the posts that were examined, the highest ranked airline’s comments were only 35 per cent positive, while the worst ranked airline’s comments were 56 per cent negative. 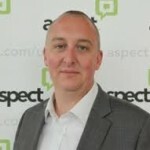 Dave Ogden, Customer Experience Consultant at Aspect Software, believes that as social media becomes the go-to for customers to voice their concerns, businesses need to ensure it plays a greater role in their overall customer service strategy and, in some cases, even form the backbone. Ogden said: “The whole reason customers use Twitter as a platform to interact with companies and complain is because it is the ideal means to get a quick and direct response. Social channels need to be shown more respect as they can make or break a brand. For instance, for some brands, treating customer messages in the same way they would treat emails could be more damaging as its less responsive. “Social media – Twitter in particular – is about immediacy. Brands that just respond casually, in their own time and without urgency, risk jeopardising and harming their customer relationships. As most social media engagements are public, it means everyone can see how a brand handles a situation when a customer does complain, so making sure you get it right first time is essential. He adds: “Customers who use Twitter don’t want to receive the same old generic response that a company clearly sends to all of its customers. Twitter is also supposed to be personal and interactive – that’s why it’s called ‘social’ media – customers want to be talked to in their language and feel valued. One way to make sure that you’re offering customers a personal experience is by empowering the staff so they feel they can speak as part of the company. If your staff feel they can’t respond unless it fits tight criteria, it is unlikely to offer the quick response expected. About Aspect: Aspect’s fully-integrated solution unifies the three most important facets of modern contact centre management: customer interaction management, workforce optimisation, and back-office. Through a full suite of cloud, hosted and hybrid deployment options, we help the world’s most demanding contact centres seamlessly align their people, processes and touch points to deliver remarkable customer experiences. Be the first to comment on "Social media customer interactions need to showcase excellent service not erode it"